HWT Brylski is a typeface by Nick Sherman, named for retired wood type cutter Norb Brylski and designed to be cut as wood type at the Hamilton Wood Type & Printing Museum. It incorporates several themes that were common in 19th-century type design, including split Tuscan serifs with angled mansard-style sides, heavy weight placement at the top and bottom of letters (traditionally referred to as French or Italian/Italienne, regardless of any actual relation to those countries), and an extended overall width. Following traditional wood type production methods, several limitations were employed in Brylski’s design process to simplify manufacturing and composition of the physical wood type. For example, in traditional fashion, all glyphs were designed with the same minimal amount of sidebearing space. At the intended size, all glyphs have widths in half-pica increments. Kerning is simplified to a minimum group of glyphs and is designed around the idea of wood blocks being sawed to interlock with each other. Brylski joins the ranks of the Hamilton Wood Type Legacy Project where noted designers have created new designs produced in traditional wood type, as well as digital releases, for letterpress printers and designers of all stripes. Graphic design legends Matthew Carter, Louise Fili, Marian Bantjes, and Erik Spiekermann have created Van Lanen, Mardell, Bernice, and Artz respectively, and now Nick Sherman adds Brylski to the series. The fonts each carry the names of residents of Two Rivers, WI who worked at the Hamilton Manufacturing company and kept the art of wood type alive into the present day. The digital version of Brylski is available along with all other HWT fonts is available to the general public through P22’s Hamilton Wood Type Collection with proceeds of sales supporting Hamilton Wood Type & Printing Museum’s ongoing mission of preservation and education of printing heritage and engaging with contemporary designers. 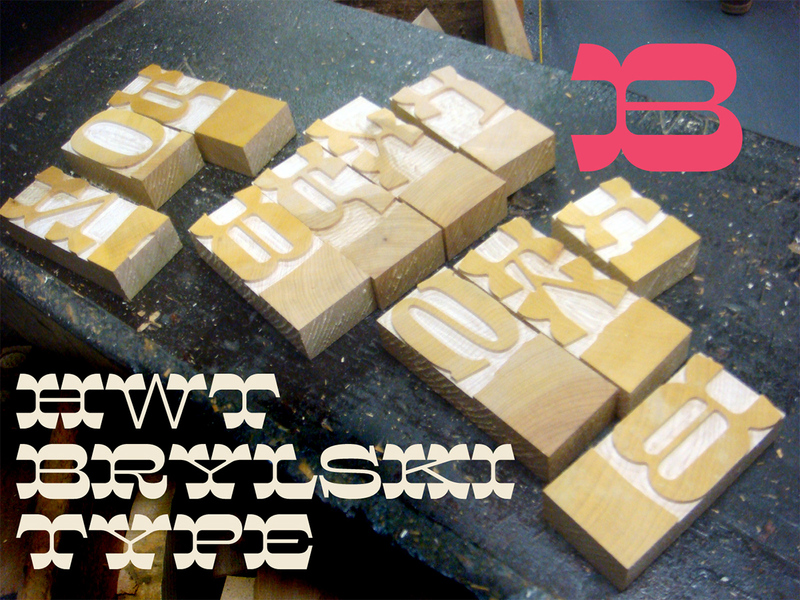 The wood type version of Brylski is currently in production at the Hamilton Museum. If you haven't been there you should really treat yourself and plan a visit! To see more images of the making of HWT Brylski see our Behance page. The designs of the fonts of these all are having now fonts for the printing press and other uses for the writing. This is really generic design of the fonts with the https://my-assignment.help/ website that will only fonts have to help for the all composition.